CPCC Library Homepage Your portal to the most in-depth resources for research of all types. This is information you can't find via any old Google search. CPCC Library Databases Browse our full list of databases alphabetically, by subject, or type. CPCC Citation Guide Always check your citations. Get help here with APA or MLA citations. View sample references, in-text citations, and papers with proper formatting. Contact the CPCC Library Reach out to a CPCC librarian via chat, text, email, or phone. 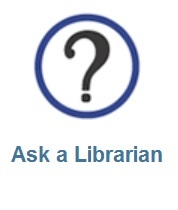 You may also schedule one-on-one appointments with librarians. CPCC Student Resources A list of student services and resources provided by CPCC Library. A large and robust database. A great place to start most research. A step by step guide to accessing and using ProQuest Central. Great for argument papers or speeches, especially on social issues. A step by step guide to accessing and using Opposing Viewpoints. Excellent source of encyclopedia and dictionary background information. A step by step guide to accessing and using Credo Reference. Perfect for gathering info about news events and for investigating local, national, and international viewpoints. Our most recommended database for news articles has several good tools to help you choose a topic. A step by step guide to accessing and using Newsbank. A large collection of many different types of videos including documentaries, lectures, interviews, performances, and more. A step by step guide to accessing and using Films on Demand.